Atty. JJ Disini participated as a debater at the Techtonic Summit 2018 last June 22-23 at the SMX Convention Center, Pasay City. 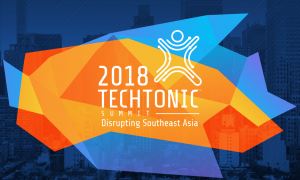 Following this year’s theme: Disrupting Southeast Asia, Techtonic Summit aimed to foster innovation and entrepreneurship through showcasing ground-breaking technologies and convening different industry experts across the country. 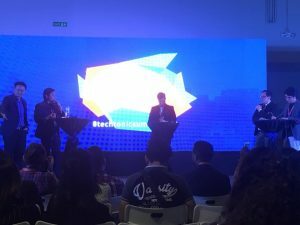 As a key participant in The Shakedown, the debate segment of the summit, Atty Disini talked about blockchain as a revolutionary technology that will change the world. He was joined in the opposition by Luis Buenaventura, Founder and Chief Strategy Officer of BloomSolutions. On the affirmative side was Rafael Padilla, Legal & Compliance Head of SCI Ventures, and Eugenio Gonzalez, Business Development Director of Fintech Business Group. Mikko Barranda, Co-founder and CEO of Acceler8, acted as the discussion moderator. Reported as the largest tech convention in the Philippines, the two-day summit was also attended by Senators Loren Legarda and Bam Aquino as keynote speakers, Jeffrey Paine, a Golden Gate Ventures Founding Partner, John Rubio, Country Director of Facebook, Peter Cauton, Founder and CEO of STORM Technologies, and Brian Cu,Country Manager of Grab Philippines. Atty. Disini, one of the country’s legal experts on Information Technology, has been actively assisting emerging tech start-ups in the country.